With each passing year, full of hope and ambition, we make our New Year’s resolutions. 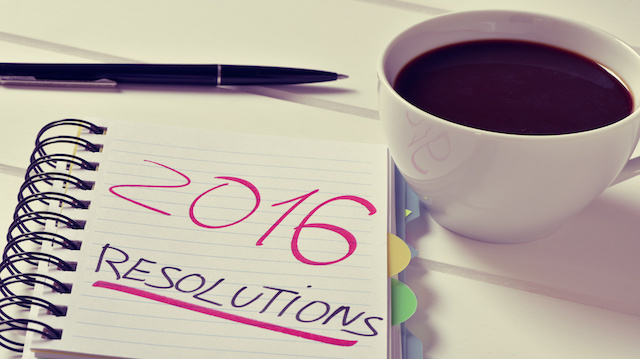 Whether we aim to lose weight or receive a promotion, how do resolutions affect us? Do they do more harm than good? The truth is, we all have a mental list of things we want to achieve and change. As another year begins, there’s no better time to “start fresh” and focus on achieving some of these internal goals. However, if this is the case, why do only eight percent of people who make resolutions commit to them? Let’s set things straight so we can better understand both the pros and the cons of making resolutions. Related: Are Health Resolutions a Good Thing? Starting off on a positive note, we’ll focus on the ways in which New Year’s resolutions can benefit your life and health. A strong resolution can help you achieve great things — here are some of the key benefits associated with this tradition. Once you begin to think about the areas in your life you’d like to improve, you force yourself to reflect on not only your past, but your present and future. What has been working in your favor and what has brought you down? In order to set achievable goals, you need to have a better sense of where you’ve been, as well as the direction you’d like to take moving forward. New Year’s resolutions tend to be goals that improve your life — saving for a down payment, losing 20 pounds, and eliminating fast food are just a few examples. When you recognize areas that you’d like to change, you can become empowered to take action. You do have a lot of control over your life, and a resolution can be the first proactive step towards a more stable, healthy, and fulfilling life. As you reflect, you’ll also acknowledge some of your most recent accomplishments. When immersed in the hustle and bustle of everyday life, we often forget to reflect on our achievements. Perhaps you have already made positive changes throughout the year without giving these accomplishments much thought. Have you already lost 15 pounds? Congratulate yourself and continue to push forward. As you continue to reach your goals, you’ll boost your self-esteem and confidence. When resolutions motivate you enough to truly seek positive change, so much good can come from this annual tradition. Unfortunately, New Year’s resolutions can go both ways. They can either promote and cause change, or leave individuals feeling disappointed. With so few people sticking to their resolutions, can they actually be damaging? Why is it so hard to promote beneficial change? It’s great to be optimistic, feeling as though you can conquer anything. When the New Year comes around, we all tend to feel that extra bit of fire in our hearts and minds. We feel like this is our year and that nothing can stop us, so why do so few succeed? Resolutions are often unrealistic. People aim to break habits overnight, which they have developed and established over the course of multiple years. Without an effective plan in place, you could actually damage your self-worth. When making a resolution, which is usually an area of our life that we have not yet addressed, we often focus solely on the end result. If you have not yet achieved this specific goal, there must be a reason why. Once again, let’s focus on weight loss. If you have been the same weight for five years, how do you plan on succeeding this year? If you only focus on your resolution — weighing x-amount by a set date, you will more than likely be disappointed. Like any bad habit, change takes time and effort. What is it that you need to do to reach your end goal? Make a list: what is standing in between you and your resolution? These barriers are what you need to focus on in order to achieve long-term success. New Year’s resolutions are great motivators, and as mentioned, they can promote positive change. With that being said, when resolutions aren’t achieved, we often punish ourselves. Whether you feel guilty or ashamed, these thought processes are damaging to your overall mental health. When we set the bar high, it often backfires and promotes self-criticism. At the end of the day, you are in control of your own life. The choices you make and the changes that follow are influenced by your own personal actions. If there is a part of your life that you feel could be improved upon, start working on it. Take the steps today, to better your future tomorrow. Hey Buddy!, I found this information for you: "Pros and Cons of Making Resolutions". Here is the website link: https://www.thealternativedaily.com/making-new-years-resolutions/. Thank you.